I've been on an X61 tablet mod bender recently, and I've taken some time to write up some pages on LED backlight conversions. I'm not quite done with it yet, but the bulk of it is up. If you've wondered if one of those Chinese LED kits is worth it, hopefully it's a detailed answer. Last edited by xiphmont on Sat May 07, 2016 10:45 pm, edited 7 times in total. This looks very helpful, thanks! I've been meaning to try to do an LED conversion on one of my SXGA+ X61 Tablets for a while, and maybe this set of helpful instructions and advice will inspire me to try. Thank you for doing the ground work and posting the links to make this doable so to speak. Now I just have to find my x61, somewhere in the house . For now, converting the IPS screens is sadly a little suboptimal-- almost all of the LED strips included with the kits are really good color matches to the TN screens, but look far too yellow/green on the IPS screens. I got exactly one kit that was a perfect IPS color match, thought 'hoorah! ', bought a few more... and they came with different LEDs. And the vendor selling them pretty much said 'huh?' when I asked about the specific LEDs in use. The LEDs that were great for the IPS screens have a weirdly low CIE Y value, so they're cool white with a distinct pinkish/purplish tinge. I've since hit on the same manufacturer's 0805 LEDs from a few Chinese sellers on eBay, but they weren't the same binning (close but not as good as that one awesome kit. Definitely the same construction though, which I've not seen anywhere else). And of course, the resellers won't say what the manufacturer is, and it's probably one I've never heard of and can't source anyway. The key identification points are the half-circle green dot, the internal trace structure, the very thin pads on the top with a separate piece of metal making up the pads along the side, the very wide pads on the bottom that crowd the green 'T' cathode marker, and a fairly thick profile. If I could find out who makes these and get their binning information, I'd happily order a few reels. In the meantime, I've been experimenting with filtering the output from easier to get, almost-but-not-quite-suitable LEDs using cinematic lighting color correction gels. Although it seems a shame to buy a super-high-efficiency LED and then filter out half the light it produces, the results so far have been promising. I'm just waiting on more gels to show up in the mail. I'm in the (currently stalled - no time) process of doing the X61 -> SXGA+ conversion. I'd be interested in this modification, if you have any luck with the gels / finding the LEDs. However, one of my main gripes with the X61 series is its lack of brightness. Do you think the LED conversion can help us out there? 3. Can you say anything more about whether these inverters need to be cut down to work with T4x or T6x series laptops? I suspect they would not, however, one might still need to remove the connectors and replace them with genuine thinkpad connectors. Thanks for this, it's awesome !!! Lots of thinkpads (10+) but I would never be so stupid as to list them all because that would spam everybody's searches and people who *do* try to list them all would be jerks. flyingfishfinger wrote: I'm in the (currently stalled - no time) process of doing the X61 -> SXGA+ conversion. I'd be interested in this modification, if you have any luck with the gels / finding the LEDs. However, one of my main gripes with the X61 series is its lack of brightness. Do you think the LED conversion can help us out there? Yes, LEDs are brighter, but the apparent brightness increase is much less than a factor of two. Comparing an old CCFL (where old is more than a few thousand hours) to new LEDs, the brightness difference will look much larger. You can run the LEDs much much brighter than normal if you want (some LEDs are rated for higher continuous current), but I'm worried that pumping more wattage in without a good way for heat to get out will run through the LEDs lifetime quickly. At equal power, the best LEDs [with a good color match] are about 40% brighter, measured on a linear scale, compared to a brand new CCFL. The AFFS screens transmit way less light than TN to start with and the SXGA+ screen transmits less than the XGA. However, the SXGA+ also uses a different prism layer that spreads the light out over a much wider vertical and horizontal viewing angle. So the SXGA+ screen gets dinged three times on final brightness. BTW, the diffuser and prisms do not 'just fit'-- there is some juryrigging involved. I don't have a recipe for this like the inverter mods, but I've done it and it's not that hard. systemBuilder wrote: 1. Can you post some links to your blog posts about where to get the different inverter boards? I can't, not reliably-- I can tell you where I got a specific board last week, you could order the same board, and possibly get something completely different this week. In general the Chinese vendors don't ship exactly what's in the pictures and you will get a runaround if you complain. As far as they're concerned, if it has the same input connector and lights up LEDs, it's the same product and you got what you ordered. That's why I wrote up several different boards-- there's no telling -for certain_ what you'll get. I can tell you I've recently bought the Unboosty from creatall88 (on eBay) and a board that's similar to the Unboosty that I need to write up soon from iCCFL.com. The good news is all of the adjustable brightness kits I'bve bought recently that advertise 'trim LEDs in groups of threes' (that is, they're 9.6V strips) were Unboosty variants. But I would not bet money on that being true six months from now. This is the real risk going the DIY route. BTW, these different boards are all well made and mostly well designed-- it's not Chinese engineers that anger me so, it's the Chinese salesmen. systemBuilder wrote: 2. your blog posts do not describe why one inverter is "better" than another. Mostly because it's not really that simple. The PWM mods are all much easier, but flicker. The Unboosty has a very wide dimming range, but you need SMD chops to mod it. Cheapybuck can be made smallest, but if you make a mistake it will literally go up in flames. Stuff like that. I do try to lay it all out, though I don't really assign 'good/better/best'... do you have a specific suggestion? I might be missing what you're saying. They all produce the same flicker in PWM mode (that's a function of the intel PWM backlight controller), and none produce any flicker at all with the continuous or HF mods. Dimming range is on the kit list page, as well as the page for each kit. 'Easiest to modify' is probably a deeply personal thing. If you're fearless-- unboosty with cut-down continuous mod is current champ by far! systemBuilder wrote: 3. Can you say anything more about whether these inverters need to be cut down to work with T4x or T6x series laptops? I suspect they would not, however, one might still need to remove the connectors and replace them with genuine thinkpad connectors. However, I can say it's very likely you should build them cut-down for putting onto the preexisting inverter-- the inverter is usually carrying the status LEDs, lid switch, buttons, etc, in addition to the backlight. Either build onto the inverter, or tap your signals and power off the inverter. On the X series, building onto the inverter is probably the only option, given space. Besides, it's a very tidy solution. systemBuilder wrote: Thanks for this, it's awesome !!! Thank you! I need to finish up the panel installation writeup! Just a quick update-- I've finished the first cut of the final installation page. All the instructions are there now! I still need to go back through and make the various improvements folks have suggested, and I have some more information now about getting LEDs that produce a decent sRGB color match. Thank you very much for all those infos and instructions. Do you think that the LED strip from iccfl for a T500 with 64 LED would work with the Simpleboost driver (modded for PWM) ? wileE wrote: Thank you very much for all those infos and instructions. I'm not sure what you mean... are you asking if the strips need to be modified at all? If the strip came with the kit, it will still work fine after the mod. iCCFL sells many kits, and different kits come with different strips. In general, the boost-configuration kits can mostly share strips, and all the buck-configuration kits can definitely interchange strips. The difference is the approximate voltage ranges between the two types of kits. Buck-down kits all use strips that work between about 8-10v, and the boost kits all use strips that work between about 20-30v. The Simpleboost is a boost-configuration kit. If you're buying kit and strip separately, you need to know what type both are. But I'm not sure that's what you're asking...? No. I did not get the simpleboost driver from ICCFL. It was a general question if those parts would work together. From them i only have the fancyboost for my Thinkpad X6x series. The SXGA+ screens in these got too dark to be usable, so i bought my first kit in 2012. And have been experimenting since. Its just that my knowledge of electronics is severely lacking. Your site is therefore very helpfull. wileE wrote: From them i only have the fancyboost for my Thinkpad X6x series. The SXGA+ screens in these got too dark to be usable, so i bought my first kit in 2012. And have been experimenting since. Ah, you're one of the pioneers! The strips that come with a 12.1" Simpleboost kit will work properly with the Fancyboost. I have both and tested it, works great. I'm not sure if you could get a longer Simpleboost strip and trim it. Well, you could, but the ones I've seen have the LEDs in groups of 8 or 10, so you could only cut at those multiples. But if the dimensions did work out, it would be fine. No, a real pioneer was a guy who posted his mod in the german forum in 2012. He built a kit with 72 LED for a X41T. With PWM. Has not been done since. I am quite happy with the fancyboost kits that ICCFL now sells. But as you said above, the color of the LED in the AFFS screens is not so good. I am also not able to create a good color profile with my Spyder3. The resulting profile has a terrible reddish tinge. I continue to use the profile created when the display was still CCFL. Much better then the generic profile. wileE wrote: I am quite happy with the fancyboost kits that ICCFL now sells. But as you said above, the color of the LED in the AFFS screens is not so good. Yup. Still working on it. If the LEDs are close enough, cinematic gels will get you closer to sRGB without calibration than the original CCFL. wileE wrote: I am also not able to create a good color profile with my Spyder3. The resulting profile has a terrible reddish tinge. The Spyder is a colorimiter. They're made to match specific backlight technologies (actually, specific phosphors). A colorimeter made for narrow-gamut CCFL can't calibrate an LED or wide-gamut CCFL backlight. You need a full spectrometer for that. Spyder3 is able to calibrate displays with LED-backlight. ruben_c wrote: Spyder3 is able to calibrate displays with LED-backlight. Interesting. I have one, and it's badged/labelled for Eizo's wide-gamut CCFL backlight models only. I was told by the vendor (Chromix, not Datacolor) that a Spyder and colorimeters in general need to be calibrated for specific backlights and that only spectrometers could calibrate fully independent of backlight type. Perhaps both are oversimplifications and the technical truth is something that requires the detailed documentation. The red spectrum put out by LEDs looks nothing like the red spectrum made by a CCFL, so it made sense that a colorimeter sampling a single red value could easily get the wrong answer. Filters that behave like eyes are expensive, post-factor retrocalibration is cheap ("Enh, just tweak the value for those"). Ah... do you also have to select the backlight or screen model in use when calibrating with a regular Spyder 3? Perhaps mine is dumbed-down since it was bundled. My Spyder3 works fine on my other displays. Both LED and CCFL. Its just the modded Displays that are giving bad results. Cause will be the spectrum of the LED used with these strips as xiphmont says. It is not nearly as continous as with a CCFL. 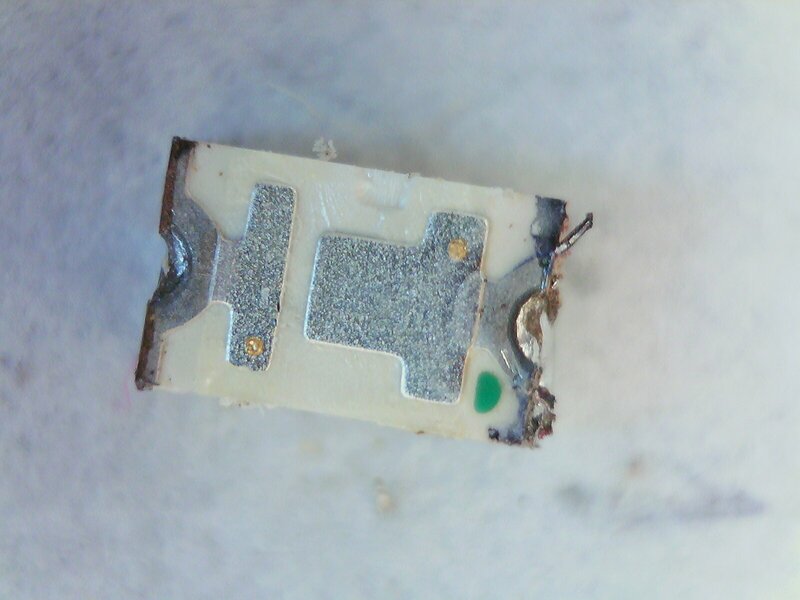 I'm not so sure that it is the LED's themselves as it is the screen that is made to be paired with a CCFL. My T500 came with a 1280x800 LED display. The colors looked fine. I bought a 1680x1050 LG CCFL display. The colors looked fine. I then replaced the CCFL bulb from the second display with the LED light strip of the first display and installed it in my computer. The colors then looked a bit yellow. I don't have a colorimeter, but no amount of fiddling can make the whites look whiter. It isn't super bad. I notice it, but it doesn't bother me much. 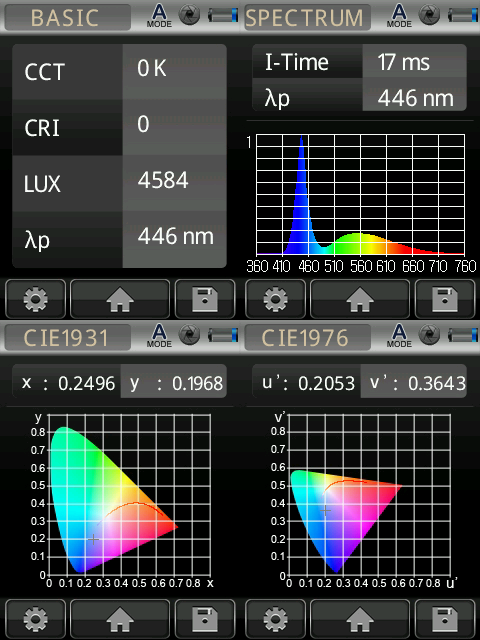 Qing Dao wrote: I'm not so sure that it is the LED's themselves as it is the screen that is made to be paired with a CCFL. CCFLs are not a uniform thing. They vary in phosphor chemistry and color output. For example, the color put out by the CCFL in a HV121P01 looks nothing like the CCFL in a HV121X03. The green balance is completely different. Yet both are 'narrow gamut' CCFLs. Similarly, all white LEDs are not the same. Their relative hue and spectral distribution vary widely, and most vendors of these retrofit kits pay little to no attention to the specific qualities of the white light; they're usually shipping the brightest possible LEDs, and these are almost always heavy on yellow/yellow-green output with a too-high CIE Y value and too low a color temperature. Simply removing some random unknown CCFL and replacing it with equally unknown white LEDs, in general, is not going to get good color compared to the original screen. That's what I'm working on now; matching specific LEDs to cinematic minusgreen and temperature correction filters. I have a few combos that get the LED kits closer to the sRGB spec than the original CCFL did, but it sacrifices some brightness. Ok, I understand. I just thought something was really strange because he LED strip I am using in my WSXGA+ LG panel came from the WXGA LG panel that my laptop came with. Anyway, I have been looking at your site and your method for removing the CCFL and putting in an LED light strip is great. I always took everything apart which was a real headache and had the potential to introduce dust or cause damage to the panel. A question. Where can I find the led light strips? Do they have a specific name? My searches have been leading me nowhere. I am not looking for a kit, just a source for those rigid strips with leds on them. Qing Dao wrote: I always took everything apart which was a real headache and had the potential to introduce dust or cause damage to the panel. I used to completely tear the panels apart to change the CCFL tubes. I didn't fear the dust nearly as much as slight damage to the reflective film in the backlight bracket. 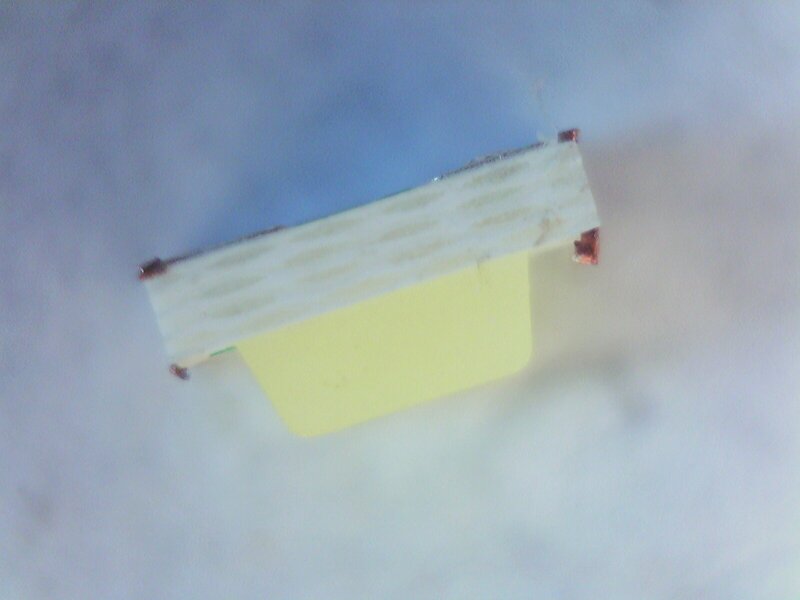 Every little scratch, or accidentally folding or wrinkling the edge would cause a bright or dark spot, and accidentally bending the bracket getting the waveguide back in would do the same. I got pretty good at it, but once I knew what to look for, the result was almost never 100% perfect. With the LEDs, the only problem (aside from color matching) is using well-binned LEDs with even brightness from chip to chip. If the brightness is even and the color is right, installation is usually perfect. Qing Dao wrote: A question. Where can I find the led light strips? Do they have a specific name? My searches have been leading me nowhere. I am not looking for a kit, just a source for those rigid strips with leds on them. 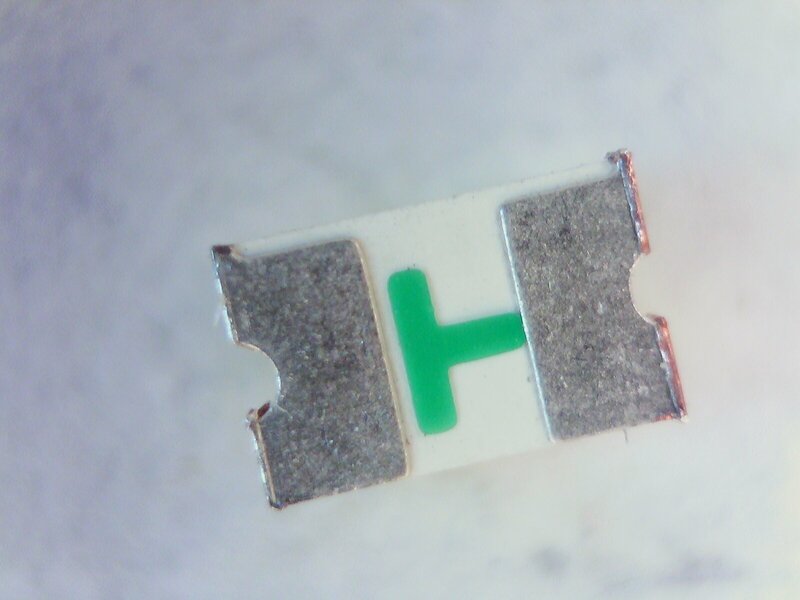 I've not found anywhere that sells useful strips by themselves; they're almost always sold as part of kits, or they're weird sizes that can't be used in laptop panels. OTOH, iCCFL has $6 kits right now that are coming with quite decent LEDs. Most of the cost is the LEDs, so buying them just for the boards isn't that much of a waste. Ok, cool. I am super excited to work on this. It would be better to do the conversion than to do what I did, which it use the OEM LED power board and LED strip from a different panel. I was just checking on Taobao, and it would make a lot of sense to just buy everything there. I also found just bare light strips. The only problem is that now I need to wait another five weeks before I get back to China. Thank you so much for your website describing how to do everything. Qing Dao wrote: Ok, cool. I am super excited to work on this. It would be better to do the conversion than to do what I did, which it use the OEM LED power board and LED strip from a different panel. I was just checking on Taobao, and it would make a lot of sense to just buy everything there. I also found just bare light strips. The only problem is that now I need to wait another five weeks before I get back to China. Thank you so much for your website describing how to do everything. Oh neat, you found ~255mm base LED strips? May I ask where? ...And are they with or without LEDs (just the PCB strips)? I finally got a hold of a little spectrometer to test the LEDs I previously found to be a good color match for AFFS screens. As expected, they have a very low CIE Y value; the strip measured at about X=.25, Y=.20! I didn't realize how cold the color was-- they're actually off the end of the blackbody curve as well as well below it. Interesting project and fun to read along. Do you have any idea if / when you might have a good source for strips that'll work with the IPS SXGA+? I'm happy to help design a strip (have PCB design experience) if you need it once you have a source for the LEDs in question. I'm sort of procrastinating on the screen mod both because I seem to have a different cable than the guide suggests (see my other post some threads down) and hoping I can do the backlight swap at the same time. flyingfishfinger wrote: Interesting project and fun to read along. Do you have any idea if / when you might have a good source for strips that'll work with the IPS SXGA+? I can do that now, but as a halfway sort of solution. The good, high-performance white LEDs that are easy to get a hold of need heavy filtering to give the right color. It's a perfectly *reliable* solution, but I'm talking about filters with ~30% transmission; they literally toss 2/3rds of the light away. That's still brighter than even a new CCFL, but if I could find a better phosphor match I could probably double the useful brightness for no additional power increase. So... I'm still looking and hoping! Yeah...having brightness would be nice. It's one of my main gripes with the X61, it's hard to use outdoors. flyingfishfinger wrote: Yeah...having brightness would be nice. It's one of my main gripes with the X61, it's hard to use outdoors. Anything roughly SMD 3014 or smaller is a good fit. xiphmont wrote: Oh neat, you found ~255mm base LED strips? May I ask where? ...And are they with or without LEDs (just the PCB strips)? 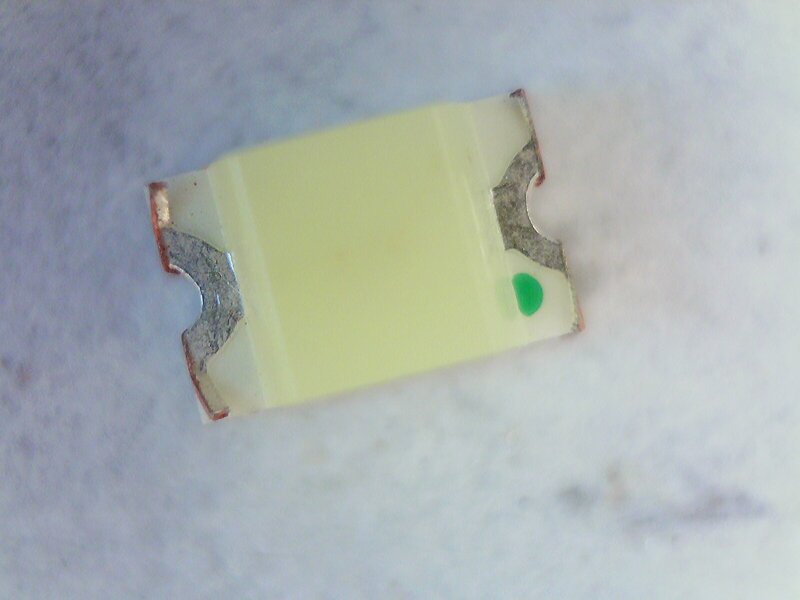 On taobao.com I can find the strips and they come with LED's on them.